We are short and medium run experts. Our molding capacity ranges from 28T to 450T with shot sizes up to 60 oz. We are equipped with microprocessor controlled drying systems and closed loop temperature control. 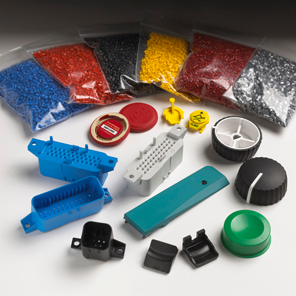 Matchless Plastics has extensive experience with a large variety of plastic resins and applications, many on the cutting edge of technology. High heat, filled resins and engineered grades are our specialty. We are experts in soft-touch overmolding and gasket overmolding offering a variety of TPR and TPE resins. 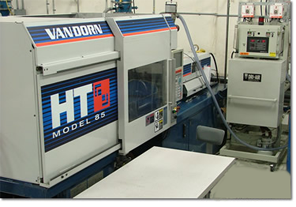 We offer value added services such as insert molding, machining, light assembly, adhesive bonding and decorating. Matchless Plastics offers in-house custom coloring which holds part costs down. We provide analysis charts to ensure consistent run-to-run color matching. “Partnership” with our customers assists with supply-chain management and we offer stocking programs to provide efficient inventory control. Our customers appreciate our flexibility and willingness to accommodate any scheduling requirements. Our customer service department continually receives high marks and our quality and delivery ratings are superior. Our networked operating system allows us to track your order from start to finish.